It’s getting cold in this neck of the wood so didn’t what to start a new model so was piddling around and hit on making a new mallet. The first one I made[a years or so back] is great for larger projects but for model work it’s more of a sledgehammer. I built it the same as the new one just used what came to mind and what scraps were near the table. It’s big and the solid oak top is heavy. So had it in mind to build one about 1/3 as big and lighter. 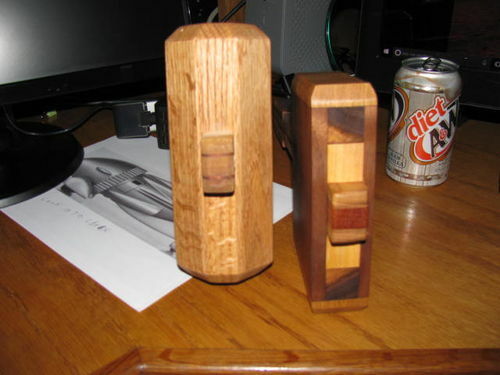 Well the lighter came out fine even added some died blow weight to make it heavier but for some reason it’s not much smaller, one of those the wood said to do it this way deals. It’s not going to be used for heavy hitting just something to tap things in place. 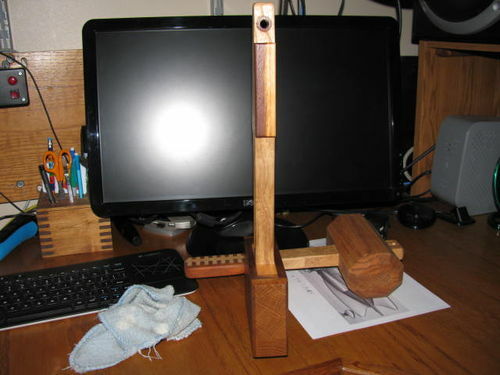 The handle is mahogany and walnut, the head is walnut, oak and mahogany. The head is angled on one side and square on the other so you have a choice. Now some side by side views. The head of the walnut or new one is thinner and a bit shorter but the handle got longer, I don’t really need that but the way I made the handle it’s just the way it came out. All I can say is it was a fun day in the shop, will be 35° tomorrow so glad I got er done today. Great job on the mallets. The new one should work great in model building. I still have one that I built about 8 years or more ago and I still use it often. Like you it would be nice to have a little smaller on to go with it. I’ll get to it one of these days. @PaulDoug that’s the problem this was supposed to be my smaller one but it grow on me while building. Hate it when they grow on you. 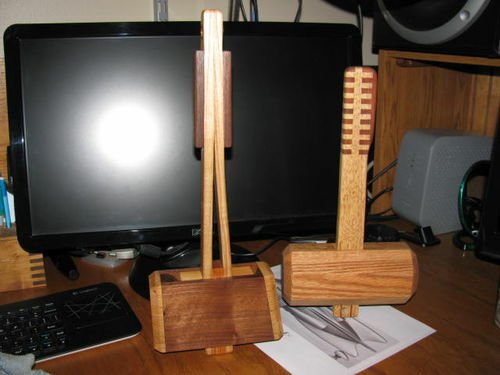 That is one nice looking mallet to Marvel at, #4... Nearly as good as a Stan_Lee tool. Would hate to see what you’d finish up with if you wanted to make a big[ger] one. Actually, even the old one is not too shabby. 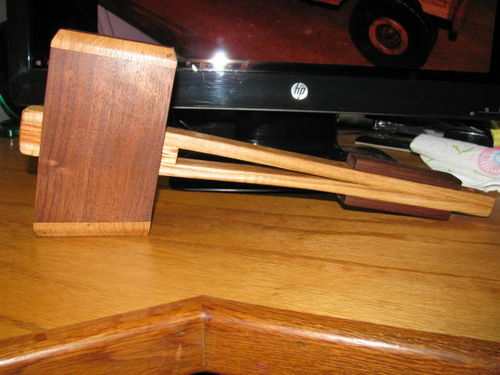 Unfortunately with the choice of the two “striking” edges, its a thinking-man’s mallet…, it’d be wasted on me! 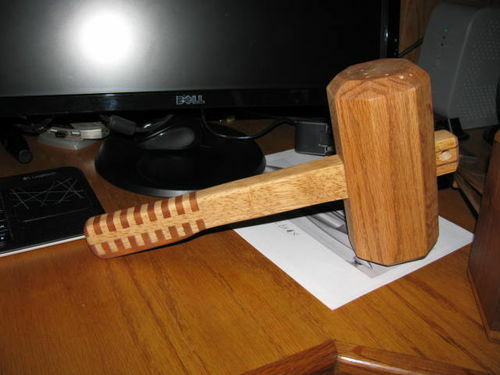 I made a round mallet once so I didn’t have to think. However, it kept slipping off the chisel and re-introducing itself to my knuckles.. AND persistently kept rolling off my workbench. 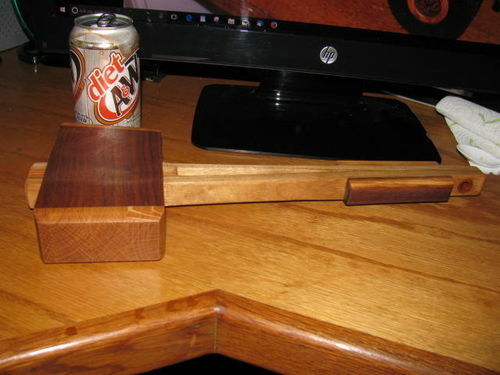 Gr8hunter every builder needs a model makers mallet—- say that 5 times really fast. A of real nice thumpers there Bruce, almost too pretty to hit anything with…. On the 35deg that’s “F” which is a a freezing 1.5deg”C”; way too cold for me. 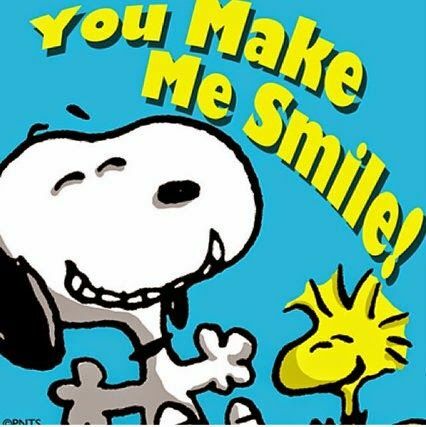 We’ve just had 3 days hovering around 100deg”F” and then today it’s wet and back to mid 70’s…..Got to love an Aussie summer. 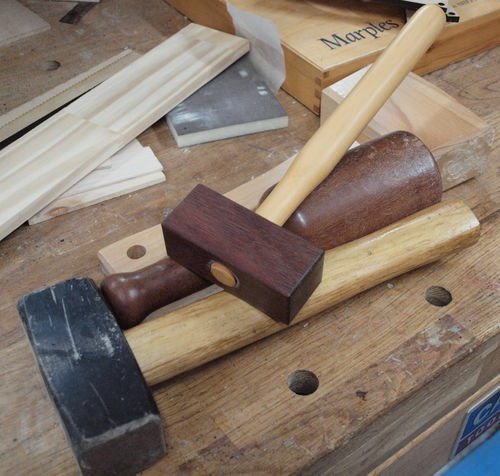 PS – Back on the mallets, they could always be used to knock some sense in some??!! #4, I’m certainly not criticizing your mallet… Like crowie said, its a work of art and too good to be slung by a mere mortal. However, I would consider the one on top in this picture as a wee tapping mallet. 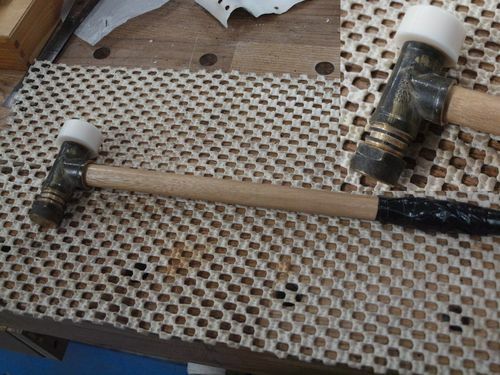 But then again, if you want a real TAPping mallet… try one of these made from plumbing supplies :-) .